The Adoption Board is the only body that has responsibility for adoption of children in Jamaica. This service is undertaken for the Board by the Child Protection and Family Services Agency (CPFSA) who processes all applications. Adoption is the process by which a child’s biological parental rights are transferred to the adopted parents. 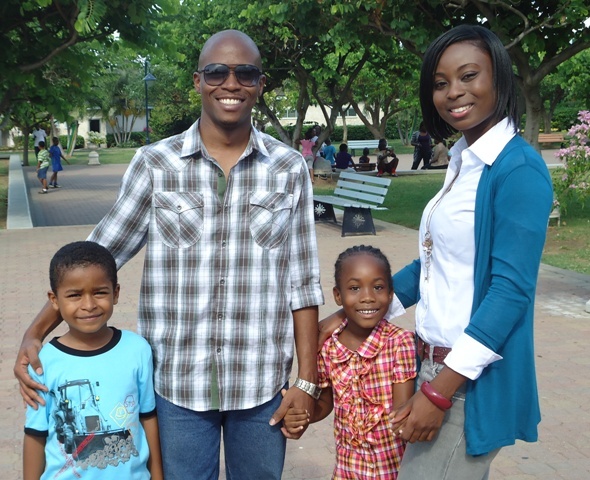 Application for an Adoption Order – that is the completion of an adoption in Jamaica. Application for a Licence – approval is given for the child to be released to citizens of scheduled countries to be adopted abroad. Be over 6 week’s and under 18 years old. Applications must be received at least six (6) months before a child attains their eighteenth (18th) birthday. They cannot be found, evidence of attempts made to locate them eg. Newspaper advertisement. They are incapable of giving consent e.g. Due to mental disability with supporting evidence. Applicants who are 25 years old and over. If they are related to the child being adopted they can be under 25 years old but over 18 years. (There is no upper age limit). However applicant would be approved based on age of child being adopted, medical conditions of applicant and family support available for child being adopted. Applicants should be domiciled in Jamaica. A parent can adopt his or her own child. You will receive a response to your application within 4 -6 weeks. This is necessary as sometimes based on the information provided an investigation may need to be done before an acceptable response can be provided. A response will be provided acknowledging receipt of form as well informing whether your application was denied or approved. If your application was approved you will be sent electronically a second package with the formal application and a booklet with all documentation that are required. When you have obtained all documents required you will return the completed package to the Child Protection and Family Services Agency (CPFSA) who will provide a receipt for your application. You will be provided with a case number and the name of your Case Worker who will advise you of appointments that will be scheduled in order to process your case. For those applicants requesting a child you will be placed on a waiting list which is arranged based on a first come first serve basis and on the specification of your request. After all documentation required is obtained, all consents and interviews gathered, the case is now ready for the Case Committee report to be prepared. A Case Committee Report will be prepared by the case worker and submitted through the Adoption Coordinator to the Adoption Board for approval. After a case is submitted to the Case Committee of the Adoption Board and decision is made the case will return from the Case Committee with a decision which will be relayed to applicant. To make an adoption legal, a Court has to grant an Order. Persons who complete the adoption of children become the legal parents of the children they have adopted and all the legal rights of biological parents are transferred permanently to the adoptive parents. After the order is issued by the Court the Adopter will take this document to the Registrar General Department (RGD) where they will apply for the child’s adopted birth certificate. It should be noted that once a child has been adopted their former identity is no longer admissible and their former birth record is sealed. The Licence gives prospective adoptive parents the right to take the child with them in the country where they reside. This Licence should be kept for immigration purposes. The Licence has some expectations as with the child’s arrival in the country the adopter has a responsibility to notify the social work agency who will be supervising the placement. It is expected that the necessary placement reports will be submitted at the required intervals as stated on the Licence to the Child Protection and Family Services Agency (CPFSA). It is also expected that the adoption will be completed within two years. A child who goes abroad on a Licence keeps their original identity until they are adopted by the applicant. After obtaining an Order a copy should be sent to the Adoption Board. Information Persons overseas wishing to adopt should consider. Not all children in Children’s Home are available for adoption. Applicants are not allowed to visit Children’s Home to select children. Each country has specific immigration requirements that are enforced and applicants are advised to check with their countries’ adoption requirements prior to submitting an application for adoption. Adoption should be in a child’s best interest and therefore should not be seen as a means for migration, trafficking or removing children from their stable family setting to one of uncertainty and unfamiliarity.